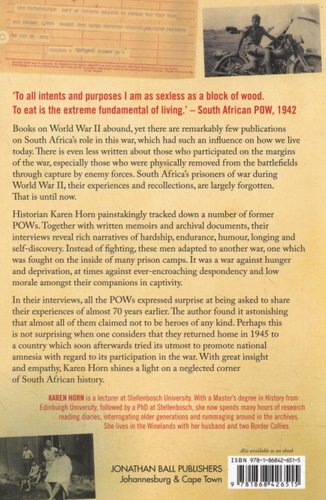 Historian Karen Horn painstakingly tracked down a number of former POWs in which their interviews reveal rich narratives of hardship, endurance, humour, longing and self-discovery. Instead of fighting, these men adapted to another war, one which was fought on the inside of many prison camps. 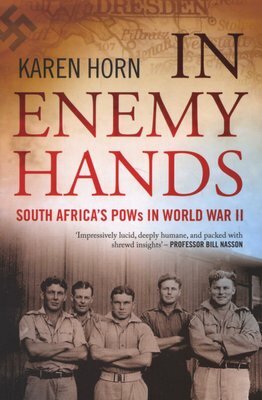 In their interviews, all the POWs expressed surprise at being asked to share their experiences of almost 70 years earlier.They returned home in 1945 to a country which soon afterwards tried its utmost to promote national amnesia with regard to the country’s participation in the war. With great insight and empathy, Karen Horn shines a light on a neglected corner of South African history. Karen Horn is a lecturer at Stellenbosch University.